I’m still trying to figure out where this blog will take me next year. I’m really on the fence. I don’t have a lot of desire to blog anymore. My reviews all seem generic. Even after I read a really awesome book that left me with all the feels I couldn’t even sit down and type them out for a post. I don’t know…. I intend to get together a “best of” post before the end of the year …. hopefully! I’ve got a pretty good idea of my Top 10 reads for the year. It’s just a matter of putting together the post. I am still reading. And I’ve read 52 books this year …. and I think I may be able to squeeze one more in. Regardless, 2016 has been my best reading year in terms of number of books read since 2011 – the pre-children era. It also helps that I’m no longer at home with a baby all the time. I have a lot of down time at work that I can fill in with reading. So that’s why my numbers really went up this year. So I’m definitely looking forward to where 2017 takes me reading wise. Hello, world! It’s been a long few months since I hung up my proverbial hat and took what I now consider a much-deserved hiatus. The itch was slowly coming back to me. I got my reading mojo back. I’v been reading what I want when I want. And it’s been absolutely wonderful. Of the 13 books I’ve read so far in 2016, they’ve all been backlist reads (the most recent book on my list so far was published in 2013…), lots of catching up with series books, etc. So what finally brought me back completely? Well Trish’s A Day in the Life event had a lot to do with it….when she hosted this event last year I was pregnant with Katelyn. So I knew that this year my post would be completely different! And it will be – look out for it on the 23rd! So what should you expect from me going forward? Well… I’m probably not going to have a set routine. I’ll post when I feel like it. I don’t care if that means I’m posting 3 times or week or once in 3 weeks. And while I have accepted one review book from an author I’ve read and loved in the past, don’t expect a lot of newer books to be featured here. I’m not really looking into getting back into the ARC stuff. I think that’s what really burned me out to begin with. I have 300+ books on my shelves here at the house. And while I didn’t officially join in on Andi’s fun … I’m “reading my own damn books” this year! So yeah, I’m free-styling here. My reviews may be two sentences long, they may be 2 pages long – I’m not going to be too strict on myself. I’m not going to feel guilty because I’m not reading the latest and greatest. I’m not going to feel guilty if I don’t log on in a couple of weeks. This is what’s going to work best for me. This is what I want out of my blog. I don’t care about numbers anymore. I’m doing this for me. Katelyn will be 9 months on Feb. 9th. What?! How did this happen so quickly? She’s crawling and so so so close to pulling up (she can pull up to her knees). She loves to eat. And she’s so happy. All the freaking time. It’s wonderful! Garrett is just a little ball of fire. His never-ending energy just amazes me. I wish I had a quarter of his energy – I’d be a lot better off, ha! He loves preschool and I love watching him learn so much. He also said his first four-letter word last week. He dropped something and said “damn it.” And then he kept saying it. Over and over. Oops! I signed up for a kickboxing cardio class twice a week. At 5:45AM. Crap is that early! After the first class I thought I was going to literally fall apart. I hurt in places I didn’t know could hurt. But after the second class I felt energized. I’d say it was $45 well spent for these 15 sessions … now I want to try spinning! Ha! The mood really struck me to pop in to blog since it’s the end of the month and I read …. are you ready for this?! … SIX books in January!! SIX! I just read up a storm. And I read what I wanted when I wanted to. It was wonderful! I’m not going to bother with reviews. They’re all backlist books that I’m sure everyone has already read. There was really only one dud (Mistress) in the whole month. So overall, I had a great reading month. I’m off to Vegas for the World of Concrete convention this week. We’re going without the kids. Since Katelyn was born we have only had two completely kid-free nights away, one in September and one in November. So this will be weird! But so nice too. I wish I could say that I was going to be able to do nothing but sleep the entire time, but it’s Vegas …. however, I am looking forward to being able to sleep in a little bit (meaning past 6:30am) and eating meals while they’re still hot! And while I’ll miss my children every waking second… it’ll be nice to get away for a few nights! Well. When I last posted, I was fresh off of the funeral of my grandfather. I was really amazed at how hard his death hit me. I wasn’t particularly close to him, but he was my only living grandfather (I lost my other grandfather at 11) and watching him slowly deteriorate the last few months was especially hard. I’m still grieving, but his peace eases that grief. I hadn’t broached the subject with our son yet. Yesterday was my grandmother’s birthday, and when I told him we were going to her birthday party he started asking questions about who would be there. Of course Grandpa T. was mentioned. It was time to discuss it with him as best as I could. Let me just say that you should never ever ever ever discuss death with another person’s child. EVER. There are absolutely no excuses for this. But apparently my ever so helpful father-in-law thought it would be a good idea to teach Garrett about Heaven and Hell while they were watching him. So when I sat him down yesterday morning to tell him that Grandpa was in Heaven, he looked at me with the most fear I’ve ever seen and said to me “don’t talk about it, it’s a bad place,” and that Grandpa had gone “bye bye.” I still have not convinced him that Heaven is indeed a wonderful place. Why in the hell would someone try to explain Hell to a 3-year-old? I never would have brought that aspect into it. He can’t differentiate it at 3-years-old! All he needed to know was that Grandpa T. had gone to Heaven, that Heaven is a wonderful place, and that he was ok but wouldn’t be back. Very simple. He didn’t need a lot of details. He didn’t need a big long explanation. Just simple. But noooooo. My father-in-law had to complicate it. We are furious! My husband said that he was going to be talking to his dad to let him know that he crossed a line. It was my grandfather. He is my child. It was my responsibility to have that conversation with him. I am beyond pissed that I was not able to have that conversation first with him and that he is now completely confused about the whole situation. Goodness knows what else he told him. But whatever it was it completely terrified my child. Not okay. Not okay. Anyway, now that I’ve got that rant out of my system …. I don’t know if I ever mentioned that I joined Book of the Month based on Beth Fish Reads‘ recommendation. Well, I did. And October was my first month. I chose Fates and Furies by Lauren Groff. To be honest, none of the selections really caught my eye, this one was the one that I felt was closest to something I would enjoy. I finished it. It took all freaking month to do so, but I finished it. And when I was done I wanted to kick myself in the rear because I should have walked away from it, not wasted 3 weeks reading it. I was not impressed, to say the least. I am not yet sure if I will even write a review for it, because the review would not be nice at all (I can’t really think of even one nice thing to say … except that it finally ended … yes, I feel that bad about it). I probably will write something up just for tracking purposes, but I doubt it’s a full review. On a better note, I just selected November’s book and it’s one I’m excited about … The Witches by Stacy Schiff!! Plus because I filled out a survey I am getting an extra book free and I’ve chosen Lacy Eye by Jessica Treadway. We’re getting a new accounting system implemented at work this week. I’m nervous and excited about it. Nervous because who knows how smoothly (or not) this will go; excited because it will ease my workload considerably. The kids are doing great, but they’ve both been battling snotty noses. Better than the stomach bug that’s going around though 🙂 Garrett was Batman and Katelyn a bunny rabbit for Halloween. Garrett was obsessed with his costume, and I have a feeling we will be wearing it quite often at home until he outgrows it. Katelyn was not impressed by her costume. Well, she would have been okay with it had I not put that part over her head to give her the bunny ears, that’s when she revolted, ha! Hopefully I get my reading (and blogging) mojo back soon so I can update this blog more often than 2-3 times a month. But October was a tough month for my family, hopefully November will be better. Plus we’ve got Christmas coming up and I’m looking forward to our first Holidays as a family of four! Well – I’m off, Katelyn is fussing. I’m surprised she gave me long enough to get this all written up. Take care and happy reading!! I have been a longtime member of Paperbackswap since 2007. When they started charging for membership back in February, they were hit with a backlash of people’s outrage. Membership costs had always been something that was a potential, but I don’t think anyone ever really thought it would become a reality. I personally chose to stay on as a standard member (meaning I paid more money to have unlimited swaps) because at the time I had 46 credits and about $25 in PBS money logged into the site that I was going to lose if I chose to leave. So I decided that I would stay on for at least a year and see how things went. Eight months later, I’m facing the reality that I’m going to be ready to step away from Paperbackswap when my membership is up for renewal in February. I have noticed a considerable drop in requests coming my way (of course, I also don’t have many books listed in the system either – when we moved last November, we paid per pound and the books that I had already read went to the donation pile…) But the real truth hit me last week when I had a request come in that I actually ended up cancelling because I didn’t want to take the time to dig out the book, log onto the site on my computer, print the postage, wrap the book and mail it. It was at that point that I decided that my interest in the site was obviously gone and it’s time to wrap things up. But there’s still my 30 credits that I have hanging out there. These are credits that I have earned over the years for books that I have sent to other members. I don’t want to just lose them all. So I’m asking you guys, my readers, to hit me with some of your best recommendations. Keep in mind, that I’m really looking for books that will be readily available in the PBS system. This means more backlist books … books that aren’t the “it” book of the moment, books that are by well-known authors and are easily found (still in print). Sometimes I just got nothin’…. I have no reading mojo. I have no blogging mojo. But that’s okay. I’ll come out of my funk eventually. Until then, I’ll just continue to buy 700+ page books at Target that I doubt I ever read (The Goldfinch) and I’ll pop in here occasionally. I’ve been seeing a lot of people “rebranding” recently. I have a feeling that this is the direction I will be heading as well. I am so much more than just books these days. I always feel like I bore people with my mundane life, but ironically, those personal posts are the ones that I always enjoy reading the most from other bloggers. I’ve been doing a lot of online stalking of journaling/planning addicts. I’ve been doing crossword puzzles in the evening while my husband and I catch up on our TV shows that we’ve been putting off for months (our DVR is quickly running out of space…). Essentially, I’ve been doing everything but reading. Back when I started book blogging in 2008, reading challenges were all. the. rage. Now, they’re obviously still around, but most people I know have really fallen off the challenge wagon. Even I had seriously backed off the last few years, only committing to a few a year. And this year I signed up for not a single, solitary book-blog hosted challenge. But sometime late last year I stumbled across a Goodreads group dedicated to reading challenges. And I’ve been hooked ever since. Now for the most part, I started out small. I participated in the ones that required you to read 3 books a month or ones that tracked the number of pages you read in a month. That sort of thing. Then I branched out into the quarterly ones. I especially like the ones that are meant to clear your TBR. But here’s where the problem is…. Now I want to sign up for the no-time limit, ridiculous challenges. You know, the ones that require you to read something like 400 books if you finish every single task of the challenge. Think about that when you only average 50 books or less a year….. I can’t help myself. I need a Goodreads reading challenges intervention. What about you …. have you found these challenges? How do you say NO!???? Merry Christmas to all my dear friends and readers! We’ve had a really blessed Christmas season this year! We found out on the 23rd that we are having a baby GIRL! My husband and I both felt like we were having a girl, but we weren’t as prepared for the news as I thought we would be. Ha! It will be nice to have one of each … but I probably am better suited as a boy mom. But it will still be fun to have a little girl around. She’ll be spoiled rotten, grandparents will be completely broke, and I will be surrounded in a sea of pink (ugh). But we really are excited! Since all the names we had considered up to this point were boy names (we “felt” we were having a girl … but never really considered it seriously, oops! ), I asked Garrett what we should name his baby sister. His response …. Bubble. I don’t think that will make the list, but as some of my Facebook friends said, it’s a very happy name. Ha! Today we are supposed to go to Nathan’s side of the family. But one of his uncles has a sick child … and we have not heard if they are dragging her along today or not. I don’t want to expose Garrett to anything unnecessary and I don’t want to expose my pregnant self to it either. So we may stay home or we may go. Haven’t decided yet. I think I’m just not in a jolly mood anymore. I lost my brand-freaking-new $300 camera last night at my grandma’s house. I have a feeling it got swept into the trash compactor, but I don’t know for sure. We looked through it, but it had been run 3 or 4 times by that point, so it wouldn’t have mattered even if we had found it. And if it didn’t get thrown in there, when her cleaning lady comes on Tuesday she will put it someplace never to be seen or heard from again. So I’m pissed off. I got absolutely no pictures of Garrett at the first Christmas that he was really fun at because he understood it. So yeah, I’m just not in a good mood anymore. Sorry to be a Debby Downer … hope everyone has a very Merry Christmas! 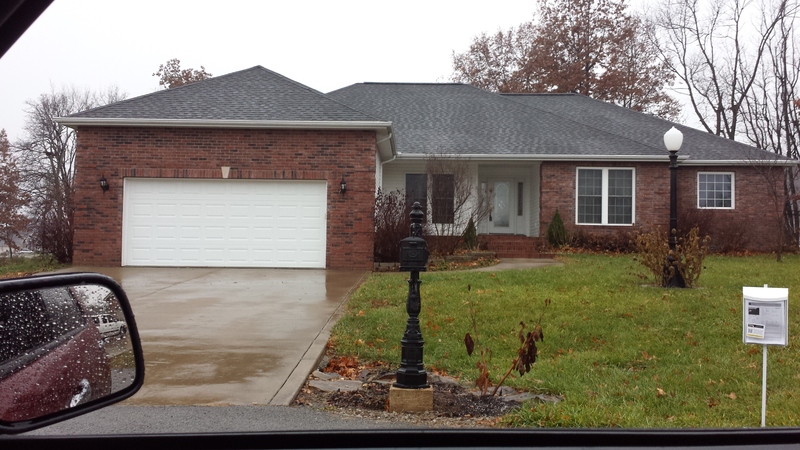 On November 25th, we said goodbye to our house in Paducah. It was a very bittersweet day for us … well, at least it was for me. That was our first house. We put a lot of our heart and soul into it to make it our own (not to mention too much of our hard-earned money…). It had been our home for nearly 6 years. It was the only house Garrett has ever known. We had just refinanced last year and was excited to be able to go to a 15-year mortgage. We had no plans to move anytime soon. But oh how those plans can change in an instant. My husband accepted a new job in late September. His start date was officially November 3rd. We knew it would be nearly impossible to list and sell a house, buy a house and move within a short time period. Boy were we wrong! Within two weeks of listing our house we had an accepted contract. Four short weeks after that we were at the closing. Yes, you read that right. We sold our house in 6 very short weeks. Unheard of, right?! Our realtor sure thought so! I’m not complaining about how things ended up for us. We were extremely lucky. We were not going to have to worry about two mortgages. We weren’t going to have to worry about scraping together the money for the down payment on the new house that we had picked out. Everything was falling into place perfectly. But not everything can be entirely perfect. Our Paducah closing was November 25th. Our last night in the house was actually November 19th. That left two days for the movers to do their thing and then 3 more full days for the clean-up. I didn’t think everything was ever going to get cleaned out of that house, but somehow we made it. So what wasn’t perfect, you might ask? 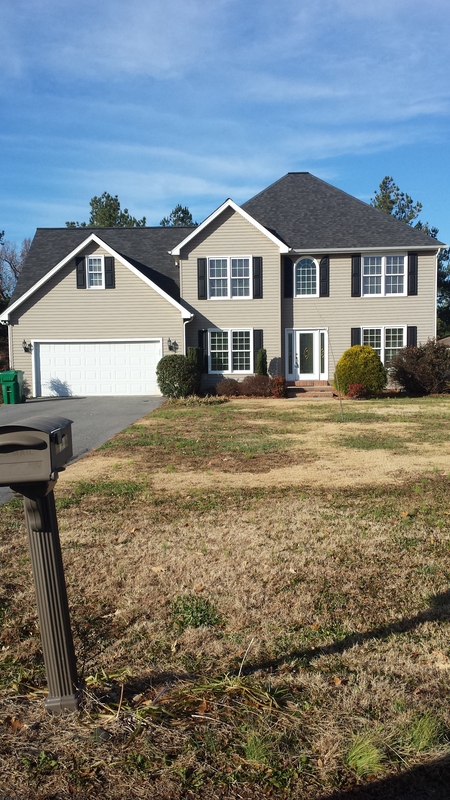 Oh, you know … the slight fact that our new house closing wasn’t until December 5th. Folks that is 16 days from the date we moved out until the closing. And we knew we weren’t going to actually move into the house for a few more days after that (actually, as of this writing, we still are not officially moved in … that doesn’t happen until Dec. 10th.). For those who don’t want to do the math … that is 21 days total. Do you know how long 21 days really feels like when you have almost everything you own in storage and are staying with your parents for the first time (for more than a weekend) in nearly 10 years?? It feels like 21 YEARS! I mean, I love my parents. We have a great relationship with them. And while I knew this was going to be a rough transition, I was not at all prepared for how hard it was really going to be. Whew, I am so thankful that it is almost over.